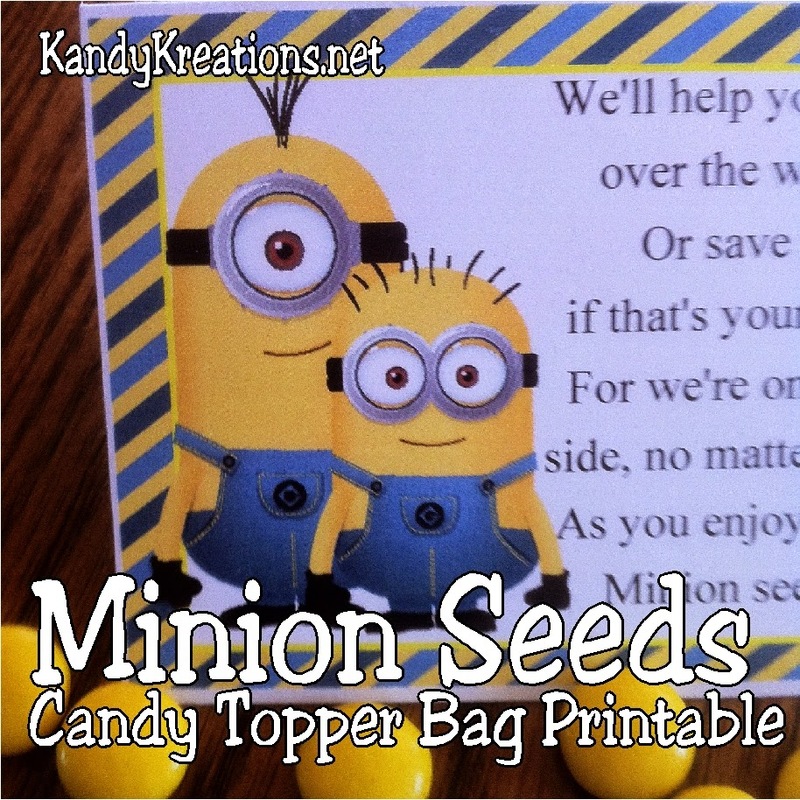 Let the Minions save your day with their love and support using these Minion Seeds as candy bag toppers for your party favors. In some ways I've been dreading this month for a while now. Drama Queen leaves for college this month. I know she needs to go. I know she's ready to go. I know she's anxious to go. But the thought of sending her out into the world scares me. It's such a scary place these days. Did I teach her everything she needs? Does she know how to keep herself safe from the stresses and evils of this world? Did I strengthen her enough to handle it all? I don't know. I can only hope and pray. And maybe send her off with a few minions to help in tough times. So I've decided we are going to have one last family dinner party before she leaves. Since it will be a Minion themed party, we needed to have some candy bag toppers in attendance. 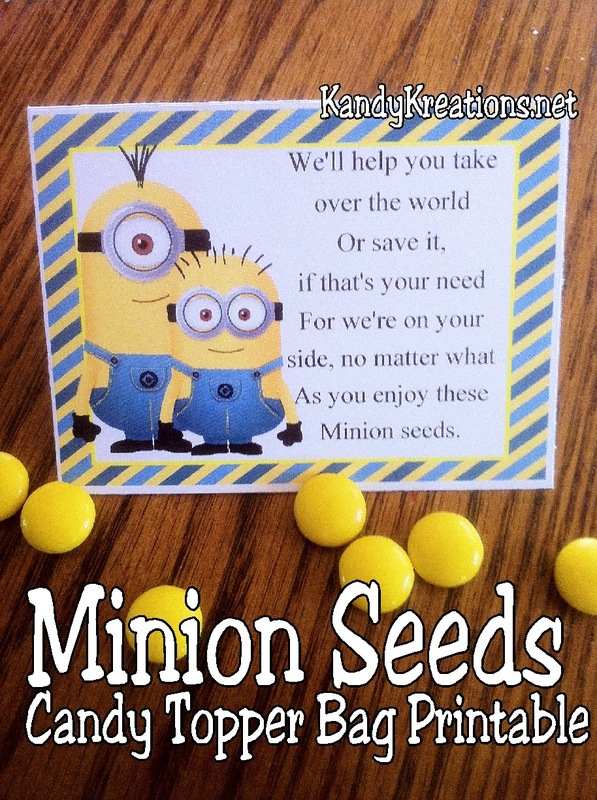 As you enjoy these Minion seeds. 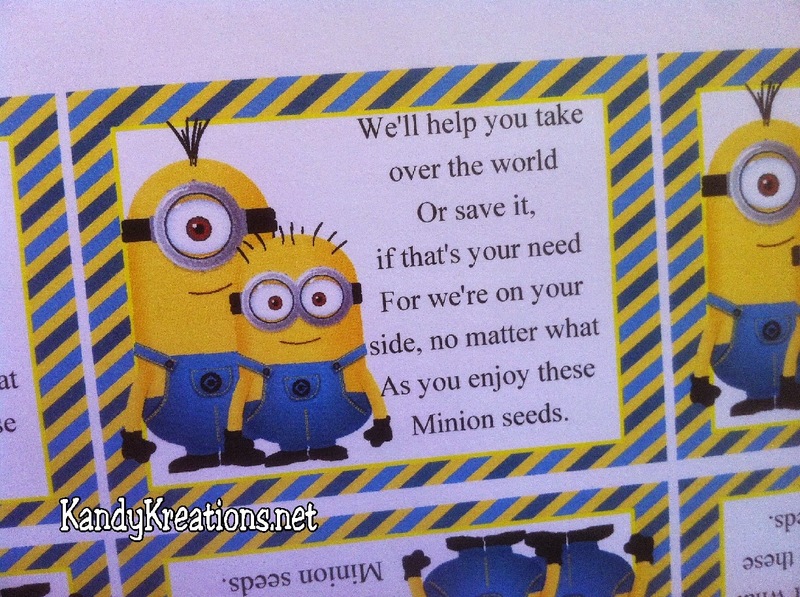 If you are visiting us after November 2014 or don't want the awesomeness that we share with our email newsletter, but still want your Minion Seeds, you can find the printable in our online store here.